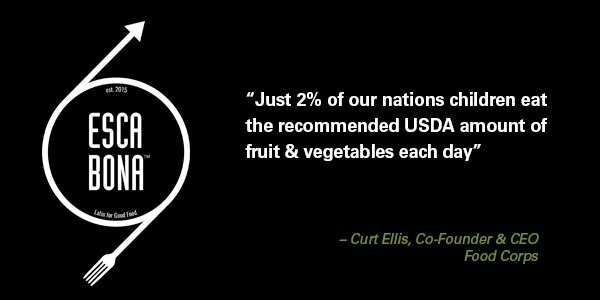 At Social Nature, we try to make it a little easier for people to make better choices when it comes to the products we use every day. In this post, Social Nature Account Director Alice Park explores what it means to build the good food movement at the Esca Bono conference. Working with a number of food manufacturers at Social Nature, I was thrilled to hear that I was invited to attend Esca Bona this year. Created by New Hope Natural Media, the conference brings together thought leaders, influencers, and enthusiasts across the food industry to discuss how to build the good food movement. So I wore it with honor. It was an intense couple of days of deeply engaged conversations around the connection to real food, barriers such as accessibility and affordability, and increasing trust in the food industry. Interestingly, trust became an overarching theme as we discussed authenticity, responsibility, accountability, transparency, and integrity. While less than half of all consumers trust traditional advertising, 90% of consumers trust recommendations from people they know. With trust compromised from traditional channels of communication, we saw an opportunity to create a new channel, where we empower everyday consumers to champion products they believe in. This shift in power can be nerve-wracking for some brands, but engaging your ideal consumer to spread the word for you can have a powerful impact. Social Nature recently worked with Hippie Foods, the first Canadian B Corp and a manufacturer of healthy natural snacks, on the launch of their new vegan organic coconut chips. We identified their ideal consumer through online surveys and shipped 625 of them a bag of coconut chips to try. We invited the selected consumers to share an online review, and if they loved it, share it on social media with the hashtag, #trynatural. 90% of the 625 shared! Based on the high volume of online reviews Hippie Foods is now on the first page of Google for the keywords “coconut chips”. In addition, through all the tweets, pictures, videos and blog posts, we generated over 1.2 million word-of-mouth brand impressions for Hippie Foods – all from a base of 625 everyday consumers – or as we like to call them: everyday influencers. How are food manufacturers, suppliers, and retailers meeting consumer demand for good food assurance? How can we increase accessibility and affordability of great food to the masses? Can authentic, mission-based brands continue to climb the ranks of the food dynasties or are they destined to lose their way? What do break-through technologies like chicken-less eggs mean for everyday consumers entering the modern food revolution? Clearly, there is still a lot to do and as Kevin Cleary, CEO of Clif Bar & Company, points out, consumer demand isn’t enough to grow the organic industry. Every stakeholder in the food supply chain from farmers to manufacturers to distributors to retailers to the media and of course consumers have the responsibility and the opportunity, to own and move forward the good food movement. We have a deeper systemic problem where we need to directly tackle the root cause and measure impact at both micro and macro levels.While Social Nature may not be in the sphere of growing the number of next generation farmers or increasing traceability of ingredients in the supply chain, we do have a vision of inspiring 1 billion people to #trynatural by 2020. I look forward to continuing the conversations started at Esca Bona and feel optimistic, grateful and energized to continue playing my role in the good food movement. Interested in learning more about how to build the good food movement with Social Nature? Get in touch!